Speaking with RespectAbility Report following his presentation, the Republican governor stated a clear vision of why civic education is important for students with disabilities as well as their non-disabled peers. As it stands now, only 33.9 percent of working age Arizonans with disabilities are employed. That percentage means that only 143,168 out of the total of 418,062 working-age people with disabilities living in Arizona have jobs. There are more than 28,000 Arizonans with disabilities between ages 16 and 20. Many of them age out of the school system and face an uncertain future. However, there are signs of hope to be found by looking at the right data. Arizona now is ranked 33rd in the nation in terms of state employment rate for people with disabilities, outperforming California and rising from their 35th spot in RespectAbility’s 2016 Best and Worst States Report. Looking closely at the economic data reveals that 8,352 people with disabilities entered Arizona’s workforce between 2014 and 2015. People with disabilities deserve the opportunity to work productively, live independently and engage politically, just like anyone else. Civic participation is a key part of a rich, engaged life as a citizen of the United States. Ducey has long been a champion of the critical need for civics education both in his state and across the country. 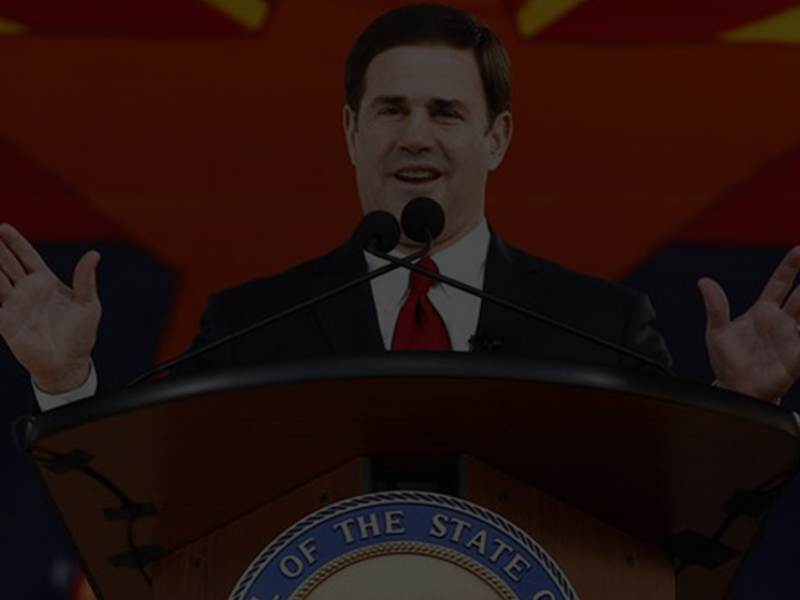 At the NGA, Ducey spoke proudly about the American Civics Act being the first state law he signed as Governor. This 2015 law instituted a civics test, based on the U.S. Citizenship Exam, as a requirement for high school graduation. In his remarks, Ducey called attention to the advocacy and education work of the Joe Foss Institute, a Scottsdale, Arizona based nonprofit that has been leading a national effort to promote civics education at the high school level. You can find out more about the Institute at their website or by viewing their educational resources.